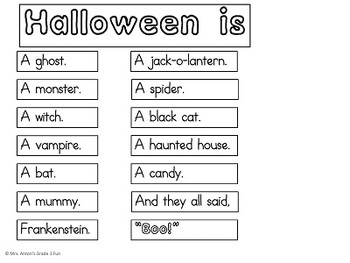 A Halloween vocabulary activity for beginning readers! 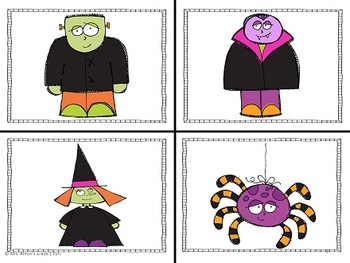 Match the picture to the sentence to make a simple booklet to introduce Halloween vocabulary! 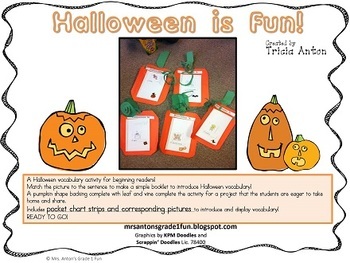 A pumpkin shape backing complete with leaf and vine complete the activity for a project that the students are eager to take home and share. 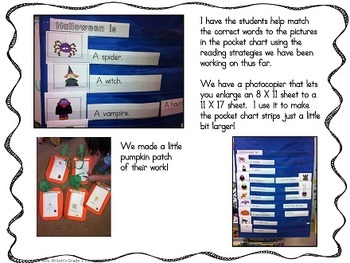 Includes pocket chart strips and corresponding pictures to introduce and display vocabulary!